The time arrived to take Eric on his father and son trip to Costa Rica. The itinerary was to be the same as when I took Marty back in 2009. Fly into San Jose and stay near downtown in the old hotel Rosa Del Paseo and raft the Pacuare River the following day. Then drive to Nosara and spend the remainder of the trip surfing. The river run was tropical, very rainy yet warm. The rapids were fun and the waterfalls beautiful. 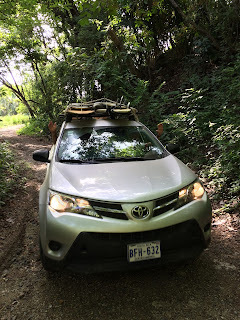 I drove the rental small SUV over to Nosara. The usual narrow mountain roads winding though the mountains and making risky passes around trucks on curves. Fun in it's own way. Nosara is mostly the same. Dirt roads, vacant beaches, rain forest full of animals and Howler monkeys. It has begun to be discovered with much more people around the area and several more surf shops than years before. The warm ocean and long sandy beach and near perfect waves still make for some great surfing. 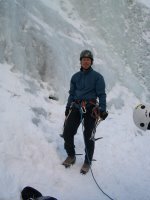 It took a few sessions before I was back into the hang of things and could catch some waves. A handful of times I caught a wave and had a good ride. One ride was particularly good and has once again hooked me for life on the surfing thing. Eric did well and if he had a better board and a little more time would be shredding the waves for sure. One morning was spent deep sea fishing with Eduardo. We caught lots of tuna. Some were a bit challenging to reel in. That evening we had a delicious pool-side dinner with Alan, Sam, Gail, Marina, Drew (Alan's brother) and other guests as we had more than enough fresh fish to feed all. As usual the trip home was long and tedious. I really enjoy tropical areas and the ocean. Our time there went by way too fast. It was a fun trip with Eric! One I hope he remembers all of his life. Eric is our last child to graduate from High School. This day came fast! His siblings helped celebrate with a nice dinner and cards. 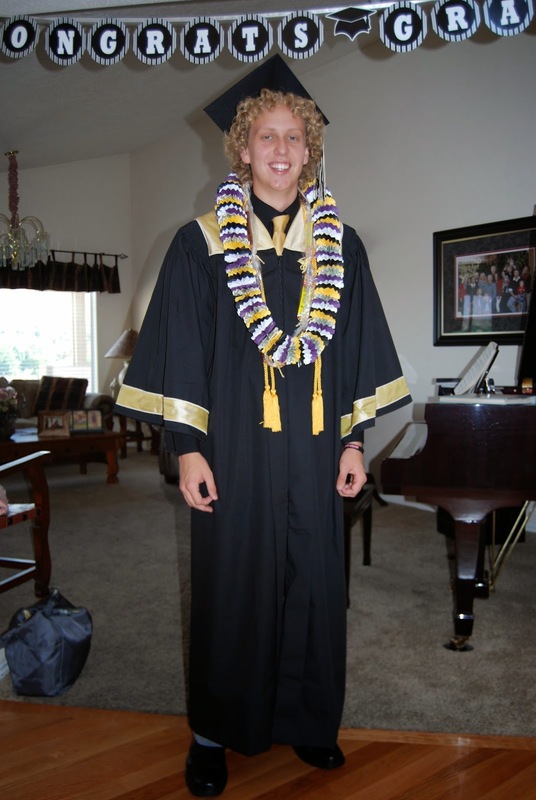 The graduation was at the Burns Arena and his graduating class at Desert Hills High School was plenty big. 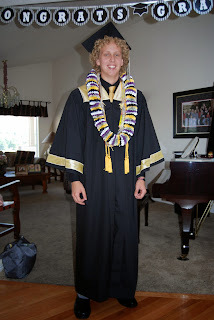 He looked big in his cap and gown and curly hair. We took him sky diving that morning. Fun! Today was a special Sunday. Eric was ordained an Elder by his grandfather Lowell. Many family members were present and lots of little grandkids filled the bishop's office for the ordination. This is one of the many steps needed to prepare Eric for his upcoming mission to Chile. I told him that now he is no longer a child or adolescent. He is a man. Welcome to the Elders Quorum!